After a recent Barcelona trip I was introduced to Ultra-Local records, a small shop selling mostly local records and tapes and throwing events in the Pobleneau. We went in and every person in the record store introduced themselves and shook our hands! Barcelona has the best scene! 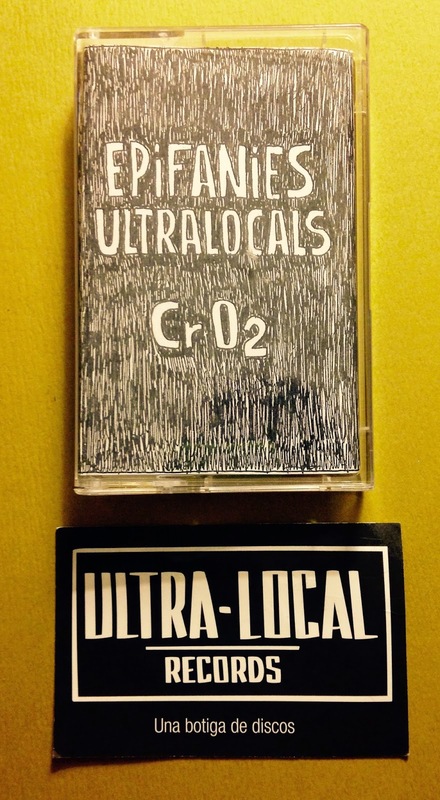 This tape by (ultra) local artist CrO2 is some solo noiseiscian tabletop fare released on the store's in-house imprint. XIII live recordings from Christmastime of 2013 (in Catalonia there is no Santa but 3 magic kings) meander through spacious decaying orchestral loops/analog sound source to basic drum machine and robotic PSAs, filtered through FX into the store's PA. The background ambience adds another dimension. Some moments sound like contact mic on wood or a keyboard with all of its keys being played at the same time. It is impossible to tell but certainly worth a listen. 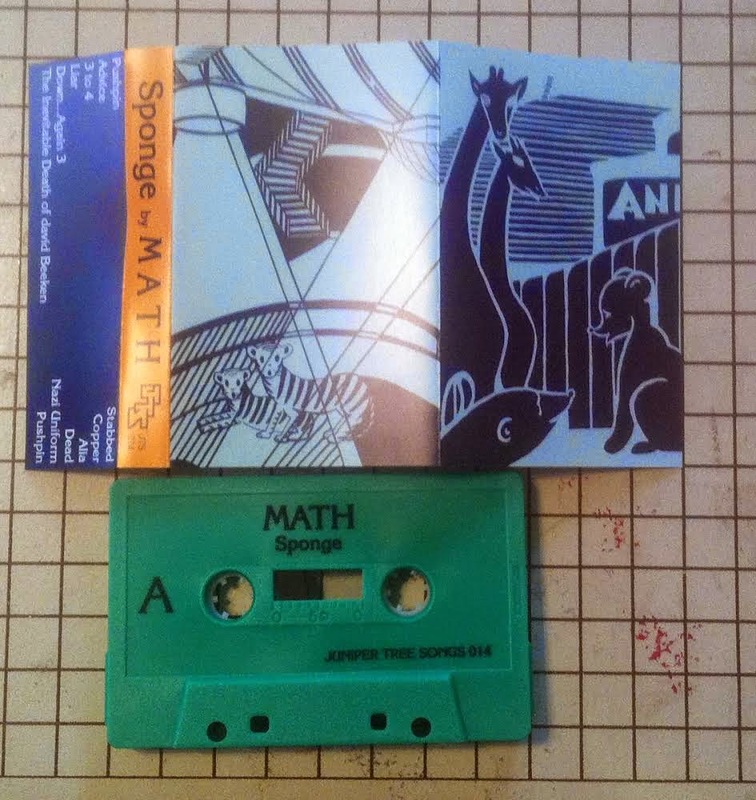 A phenomenal indie rock lo-fi effort from the band MATH. Some great design aesthetic in the liner notes as well; I appreciate the bootlegged Dungeons & Dragons rip off typography in the record label logo. Heavily reverberated and recorded with a clear understanding of how to overdub, the release feels full. There are harmonized vocals, a wide instrument range and moments of rocking out, but Math also knows how to make a warm recording feel full when the instruments are being gentle, like with the song "Liar (feat. Velvet Penny)". The vocals sound damaged and the chord progression is standard, but the guitar melodies that are created out of a simple procedure have a complexity without sounding like an overstatement. This definitely has a bedroom recording feeling. It's considered and poetic, but recorded on the stop which gives the release an immediate power. Like what Keroauc says "first thought best thought". The songs gets really acoustic 3/4ths of the way through. I'd like something a bit more slightly fuzz fried and driving like the drum machine plodding opener "Pushpin". Not like a whole lot, but a rocker for song number 9 would inject a little caffeine that would be appropriate for a release that started pretty space out. But this is nit-picky. This is a really neat cassette company and a really neat cassette. I recommend it if you like early "microphones" recordings, Elliot Smith, Ducktails, Ariel Pink, even people who dabble with Gang Wizard could appreciate this. It's kind of a mopy release, but if you like that kinda stuff you'll love this.